C-FUN was a member station. It may never be known for certain whether a survey was issued between Sept. 21 and Oct. 2 The gap between the dates is only 11 days, rather than 14, as one would expect. Likewise there is a gap with no survey for Nov. 21. But the absence of a "Last Week" column on the Nov. 28 chart suggests the possiblity that no chart was made for the 21st. Again, we may never know. We do know for sure that no survey was issued for Dec. 18 as Dave was vacationing in Hawaii. 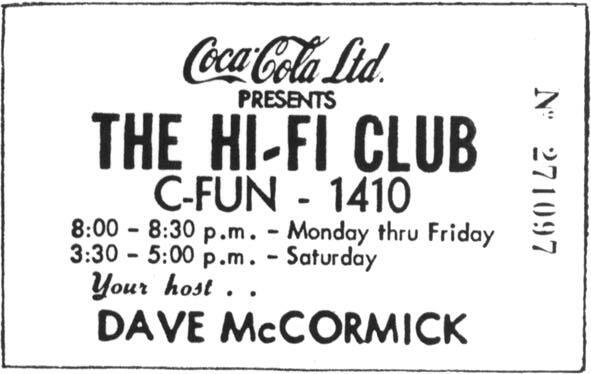 Hi-Fi Forty chart for week of Dec. 5, 1959. The purplish ink was characteristic of the Ditto copier which it was printed on. When fresh these copies gave off a pleaseant alcohol-like smell. 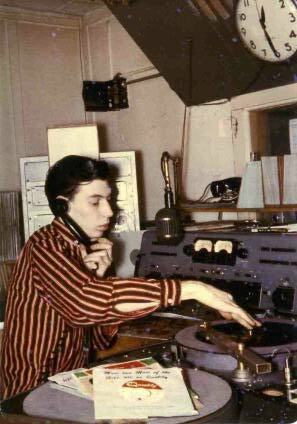 Dave McCormick's all-Elvis Top 90 from Feb. 16, 1960. Scan courtesy of Owen Coppin. 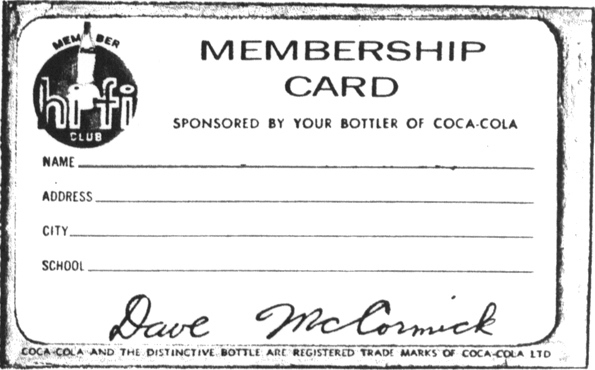 Hi-Fi Club membership cards, courtesy of Larry Morton.